The Dynaudio Xeo 2 are a pair of bijou, high-end Bluetooth speakers from one of the world’s biggest loud speaker manufacturers. 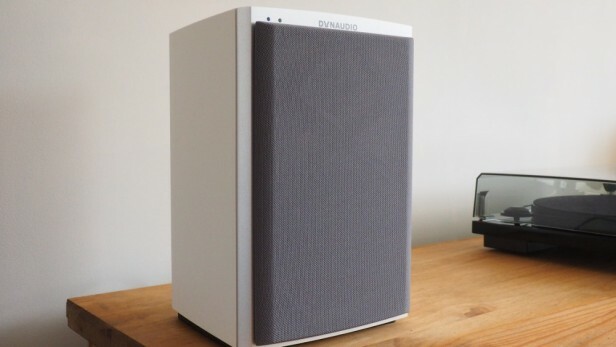 You may not have heard of Dynaudio, but there’s a good chance you’ve heard a pair of speakers that use Dynaudio drivers. If you’re looking for wireless speakers with more class and sonic subtlety than most, you’ve come to the right place. 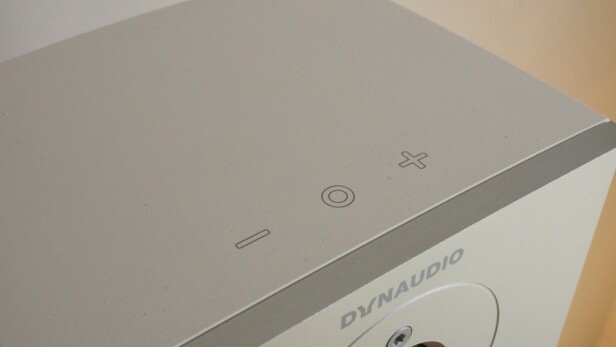 Dynaudio’s little boxes are even littler than you might expect. They stand just 255mm tall and have a surprisingly small footprint, making them perfect for a desk or shelf. Yet despite the small dimensions, they weigh 4kg each! That’s impressive density, and a testament not just to the superb build quality but also the amount of tech crammed into these small units. They’re nicely minimal from all angles, with simple touch controls on each speaker for on/off and volume up and down. The cloth speaker grilles cover almost the entire fascia and are held on by magnets, which keeps that aluminium front baffle looking very neat indeed. The baffles on the matte-white Xeo 2 models I tested were silver and the grilles grey, but the Xeo 2 are also available all in black. Beneath each grille is a 14cm woofer and a 27mm silk soft-dome tweeter. At first it seems like there’s no bass port at all, but a little investigation reveals that it’s cleverly concealed around the back, downward-facing and hidden above the connection panel. Each stereo pair consists of a master unit and a slave, but in the case of the Xeo 2 both units are active – they contain their own amplification – so there’s no need for a cable to be run between them; they communicate with each other wirelessly. The downside is that you need a power socket for each speaker. Around the back of the master unit are all the physical connections: RCA stereo phono line input, 3.5mm stereo line input, S/PDIF optical input and a USB socket for making firmware upgrades. Both master and slave have a standard figure-of-8 power socket, which is handy if you need to use power cables longer than those supplied. Both speakers also feature a switch to designate which is the left channel and which is right. Additionally, on the master unit there are a couple of other switches – one applies DSP (digital sound processing) depending on room placement, with settings for Neutral, Wall or Corner. 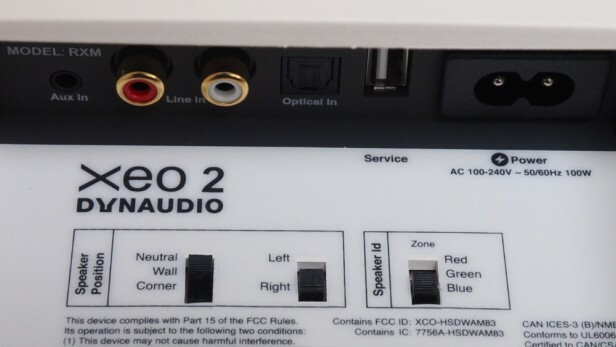 The other is for just in case you have multiple sets of Xeo in your home – you can set them to Red, Green or Blue channels to be able to control each pair individually. Since the Xeo 2 connect via Bluetooth, the only control you’ll probably worry about most of the time is the on/off switch – the rest of the work can be done through the music app of your choice. 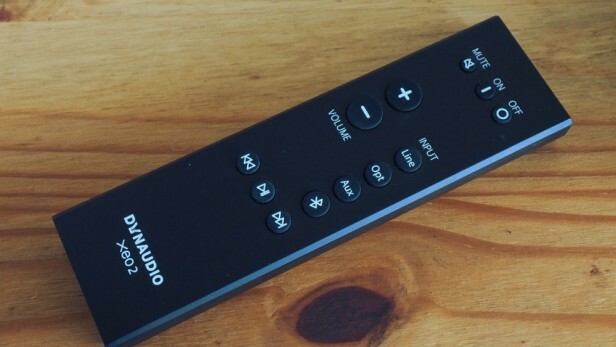 However, Dynaudio supplies a neat remote control for those times when you might want to change inputs and use a physical source. It looks and feels classy, just like the speakers themselves. The Xeo 2 can be used as part of a multiroom setup, as long as you buy the Xeo Hub (£200) or Dynaudio Connect (£295) in addition to all the speakers. You can also buy dedicated stands or wall mounts for the Xeo 2, which bolt directly onto the speakers. 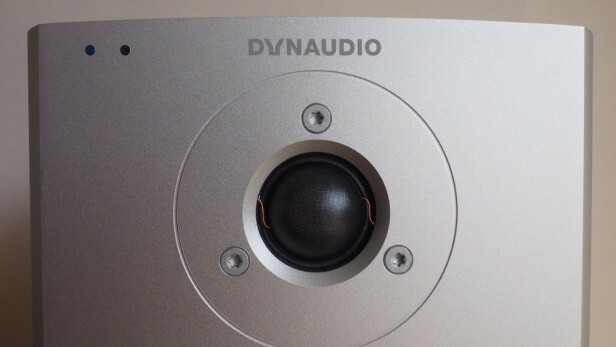 Setting up the Dynaudio Xeo 2 is fairly straightforward. Ensure you’ve got both set to the same channel – Red, Blue or Green – and that the left/right switches are set correctly, then plug in and turn on. After less than a minute, the tiny LED in the top left of the baffle stops flashing red and goes a dim blue to indicate that the two speakers have paired with each other and are ready to go. I tested the Xeo 2 using a variety of sources, from Hi-Res Audio files – they support up to 24-bit/192kHz – through TIDAL streaming to a Pro-Ject Essential II Digital record player hooked up via its optical output, and sound quality was universally impressive. The subtlety and nuance these speakers are capable of is way beyond most Bluetooth speakers you’ll hear. They also sound fast and sweet, like the very best bookshelf speakers should. But like most small speakers, you can’t expect much in the way of deep bass, and the sound muddies if you try to crank the volume too high. These aren’t party pumpers; they’re modern-day hi-fi for more intimate surroundings. SHOULD I BUY THE DYNAUDIO XEO 2? If you’re after the very best sound for a desktop or small space, you should definitely take a listen to the Xeo 2 – they sound wonderful as long as you don’t try to push the volume too hard. The real stumbling block for most people will be the price. 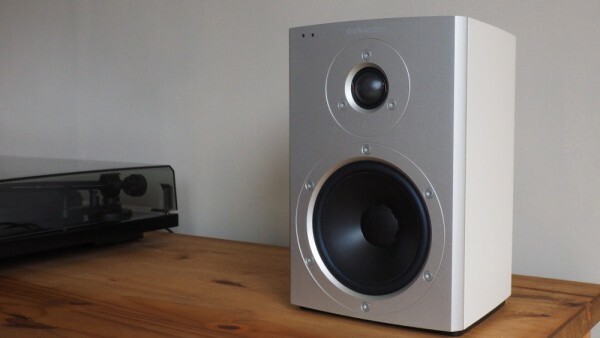 Their strongest competition probably comes from the cheaper Eclipse TD-M1, which sound more nimble but offer even less bass, connect via Wi-Fi/AirPlay rather than Bluetooth, and look stunning. The Xeo 2 are the better all-rounders, but both deserve an audition. Some of the best desktop (or small bookshelf) speakers around, but that quality comes with a high price tag.